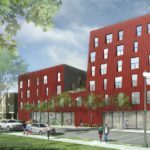 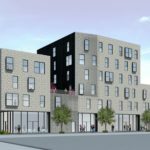 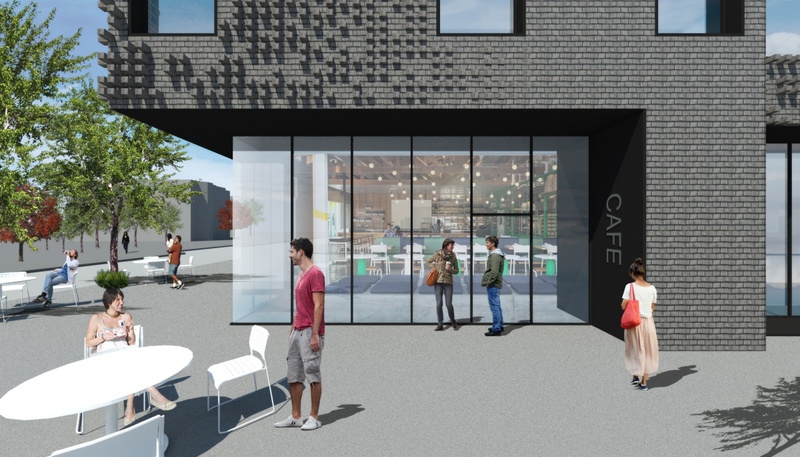 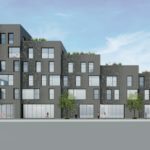 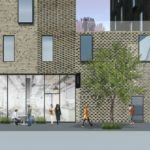 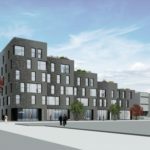 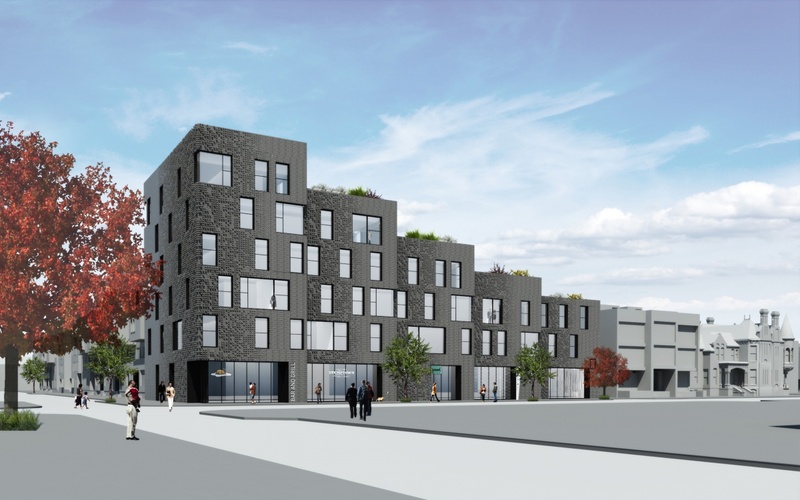 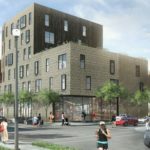 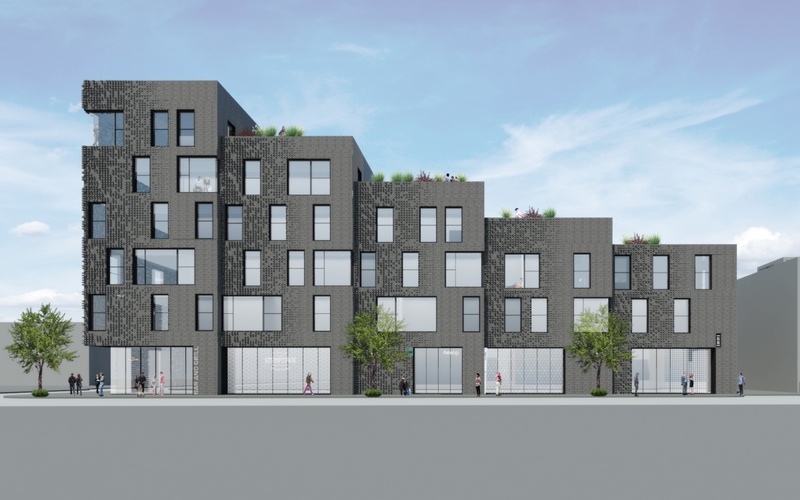 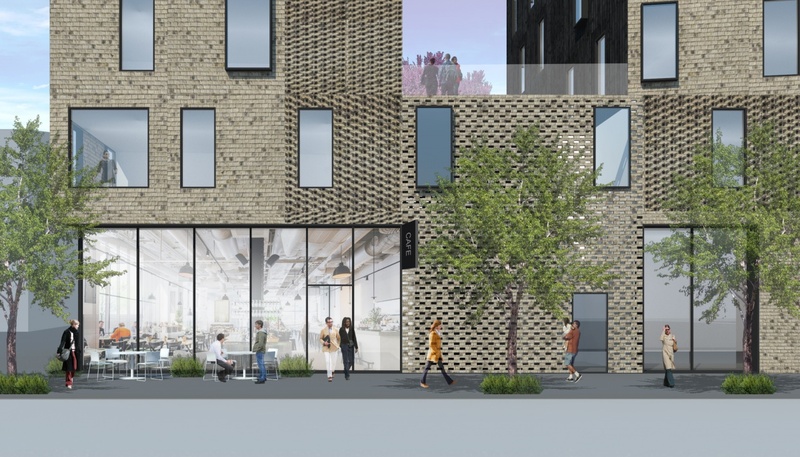 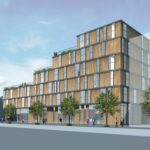 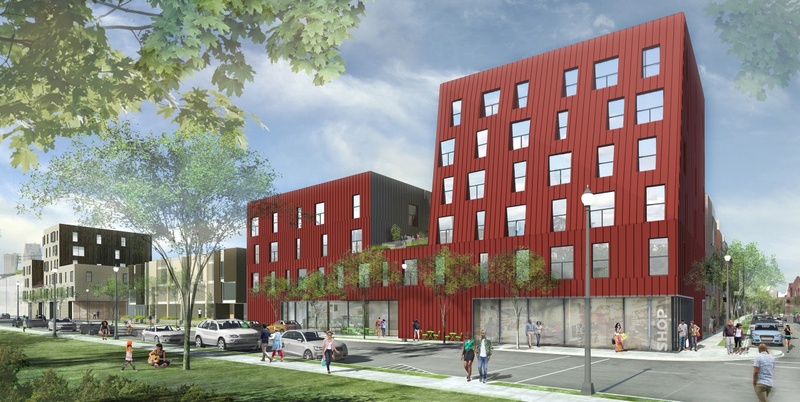 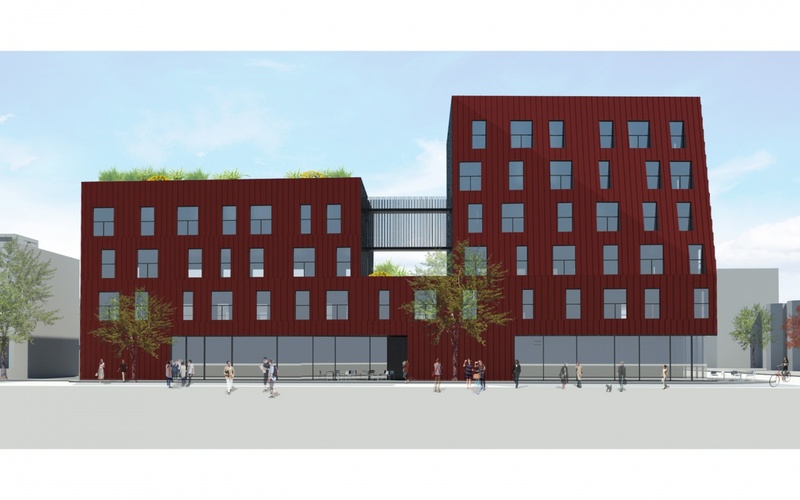 Los Angeles-based studio, Lorcan O’Herlihy Architects (LOHA) are designing a major complex in Brush Park, Detroit for Brush Park Development Company. 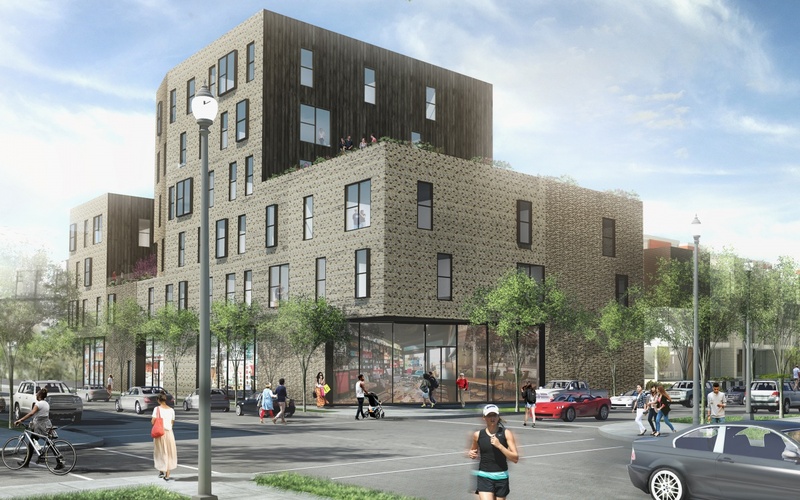 (Billionaire Dan Gilbert‘s Bedrock Real Estate Services are the driving force behind Brush Park). 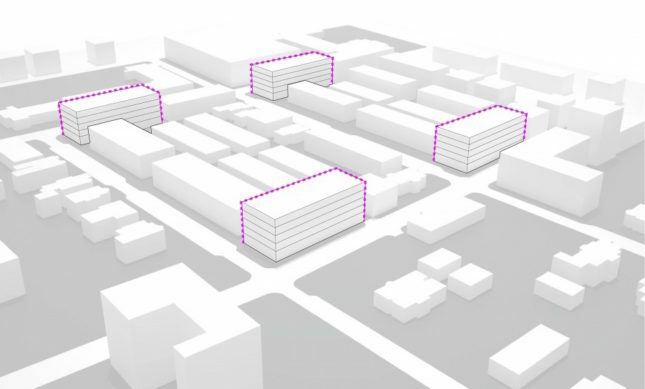 Totaling 210,00 square foot, the scheme comprises four lots where a combination of residential and mixed-use buildings will be constructed. 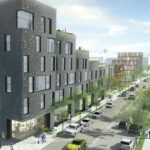 The development also includes Boston-based Merge Architects, Chicago-based Studio Dwell, and Detroit-based Hamilton Anderson Associates. 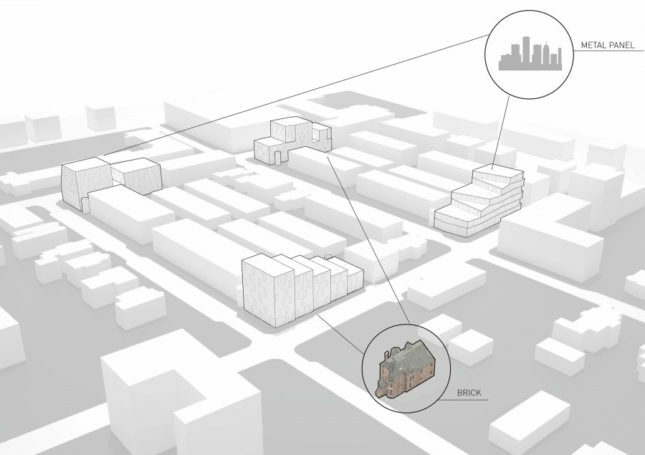 The city, which was the focal point of the U.S. pavilion at this year’s Venice Biennale, has been the subject of urban regeneration plans within many circles of the architecture and development industry. 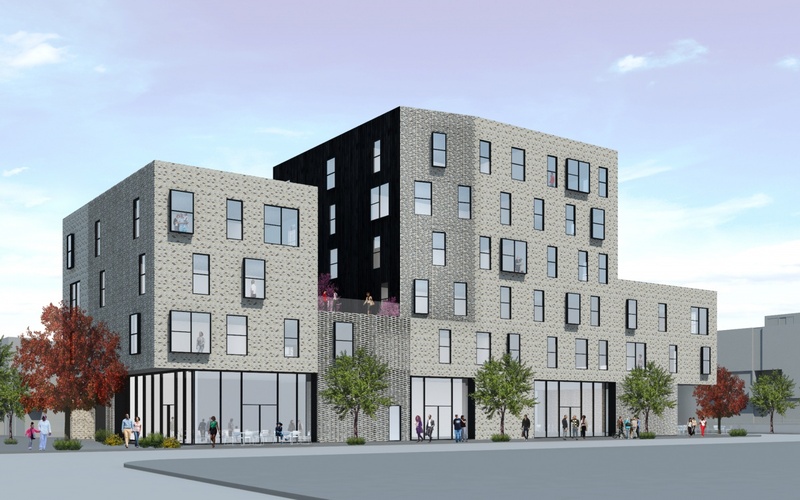 According to LOHA, their scheme is part of the “city’s largest residential project in decades.” Their four buildings will sit on four block corners in the neighborhood offering housing, retail, dining, and various community amenities. 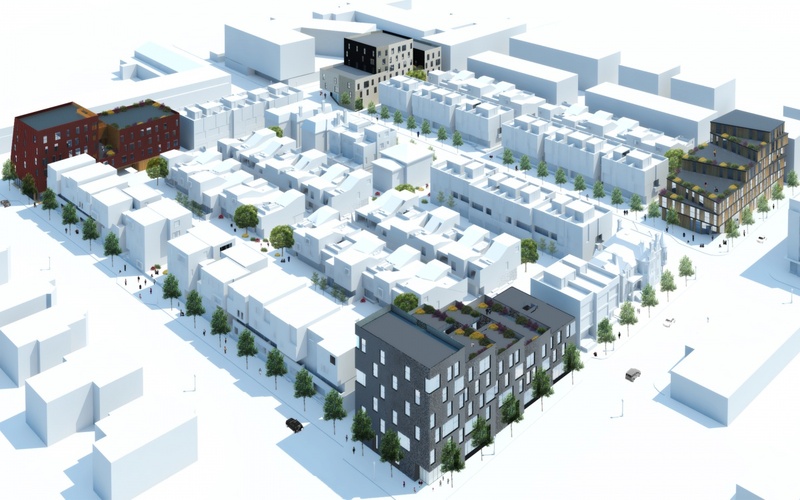 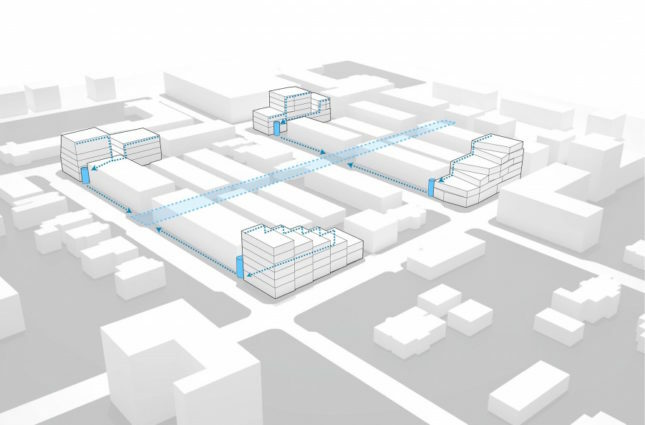 The scheme forms part of a wider development that will encompass town homes, duplexes, carriage homes, and further apartments along with public transport connections. 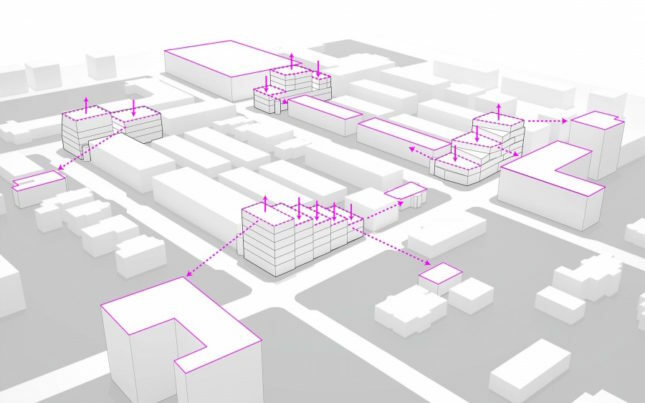 LOHA’s scheme aims to compliment Brush Park’s low-rise and historical suburban scene while increasing density within the area. 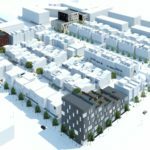 This is achieved through staggered massing that tightens the proximity of dwellings but on a scale that doesn’t overtly dominate the site. 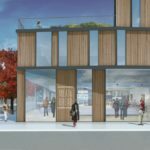 Buildings will also be clad in local materials such as brick, metal, and wood while each will retain a sense of individuality. 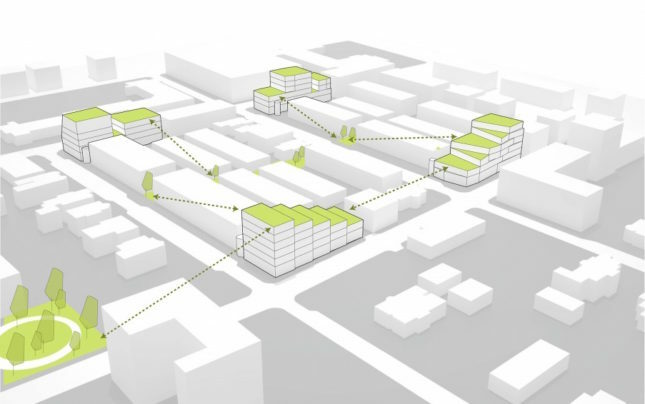 Aside from addressing urban problems, communal and ecological issues are also on LOHA’s agenda. 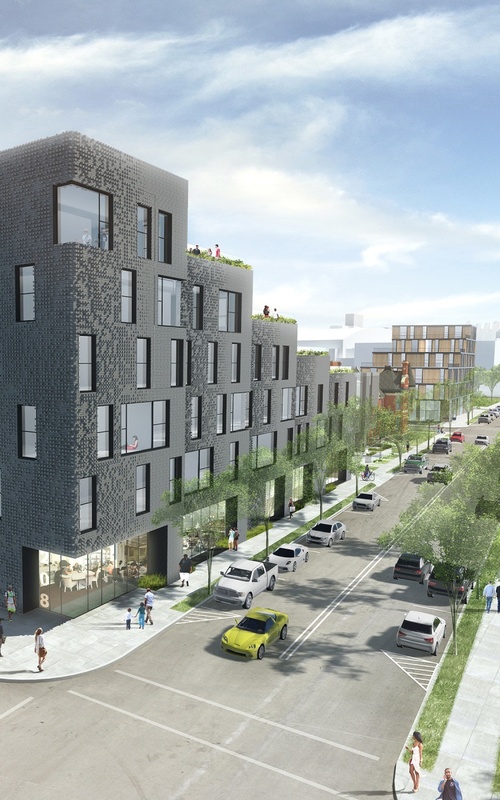 Public gardens (a tradition in Detroit) will be placed on rooftops looking onto the streetscape and also double-up as places for rainwater collection and bioswales. 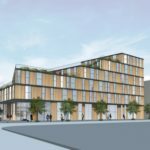 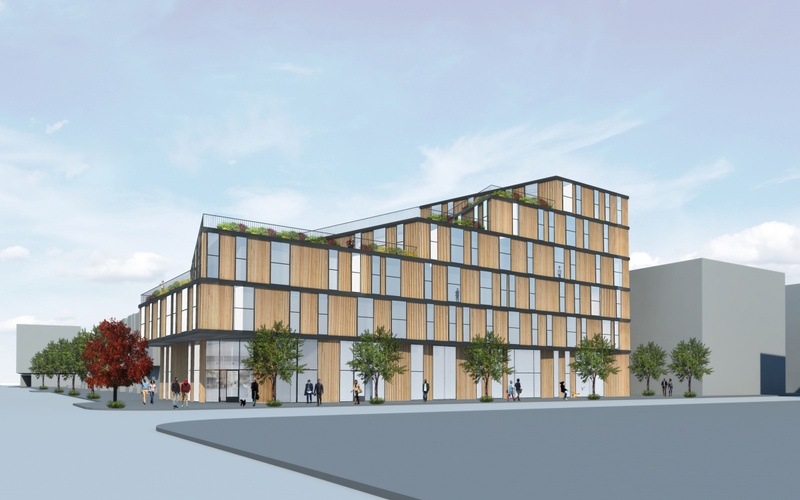 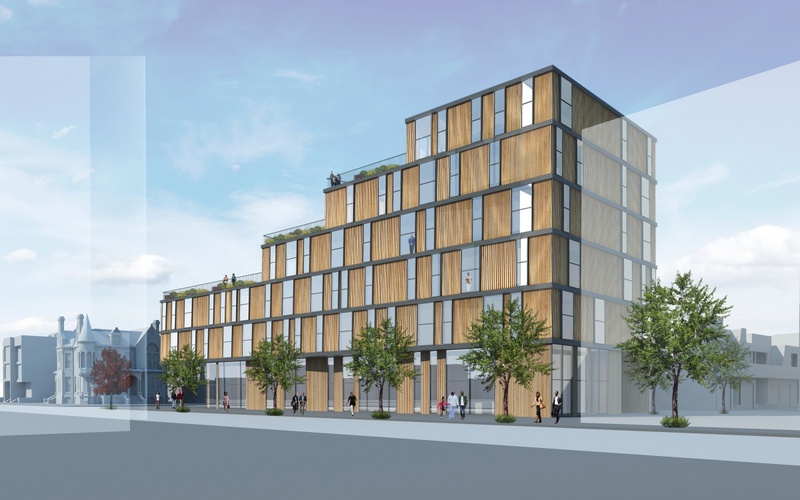 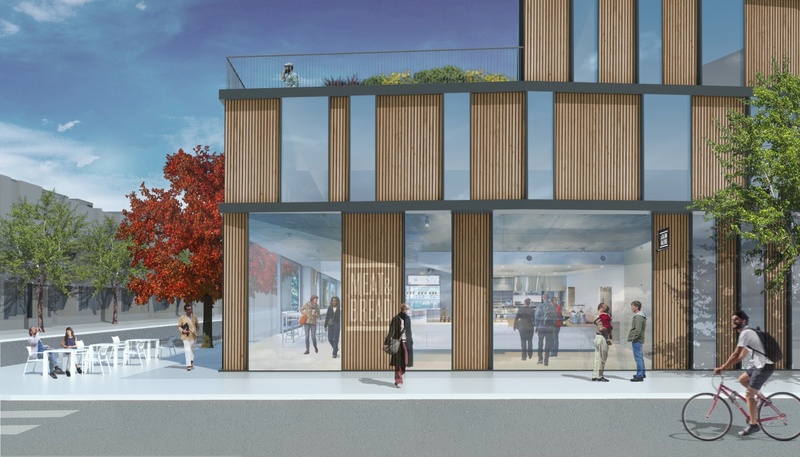 As for the plots themselves, the Southwest building’s envelope will make use of cedar—treated for texture and warmth—and floor-to-ceiling windows that would create an open environment for the retail base. 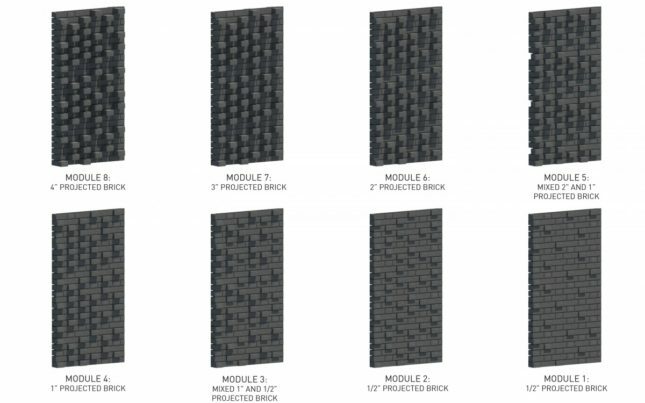 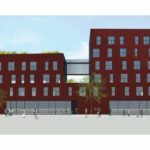 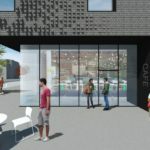 The Northwest building will use charcoal-gray bricks in a stepped formation.